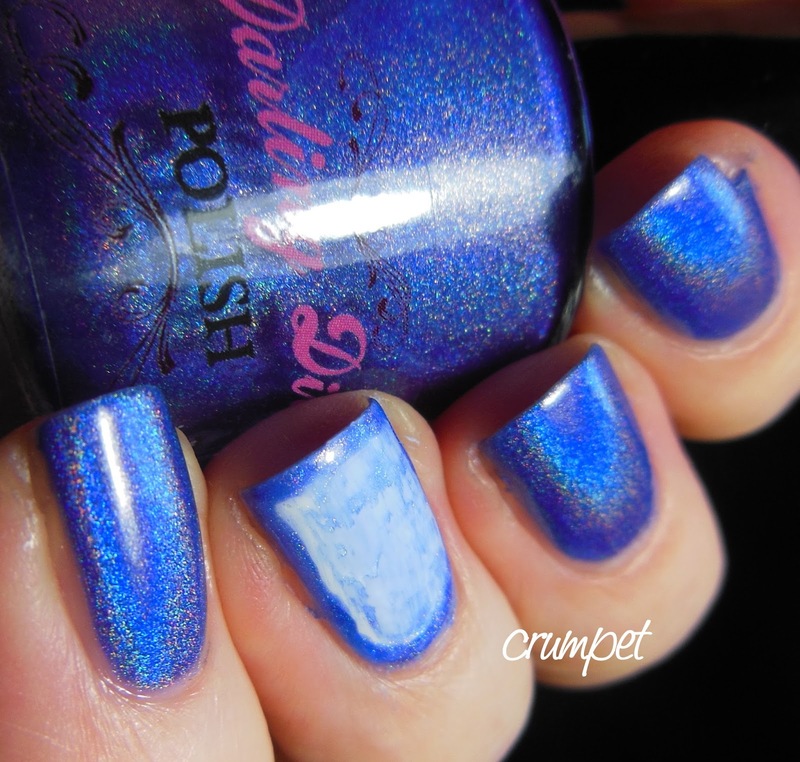 A little later than planned, here we are with the final couple of posts in my Darling Diva Polish Week. I feel like I haven't blogged properly in 2 months and it's really bumming me out. I am lacking energy, motivation ... so I've treated myself to a 3 day weekend in the hope I can restart the fire. 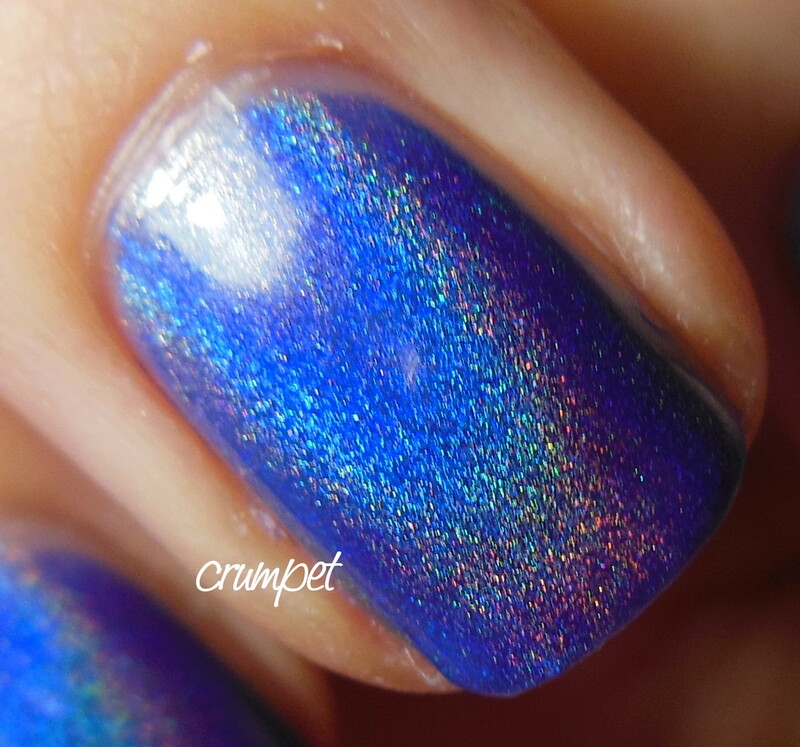 Dreams is a lovely soft blue holo, with a hint of purple round the edges, and if I had a little more time, I'd be interested to see how it compares to Carrie's previous blue holo, True Blue. 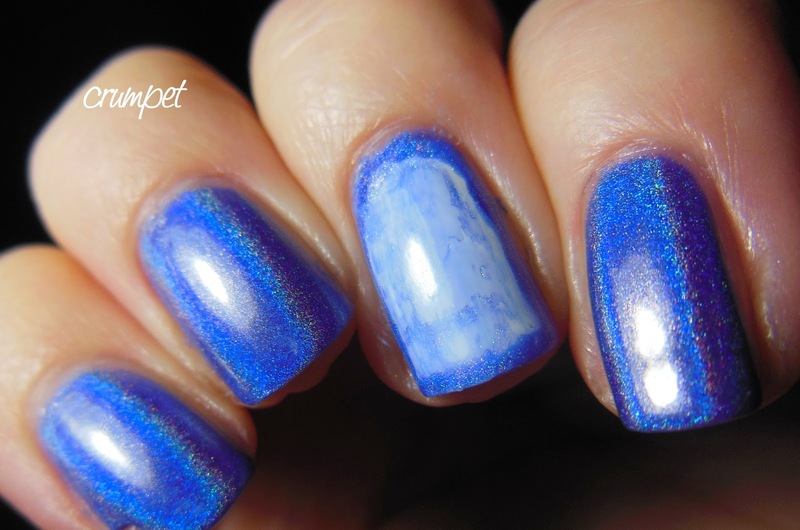 This is one of those "perfect" denim blues - soft, subtle, yet striking. 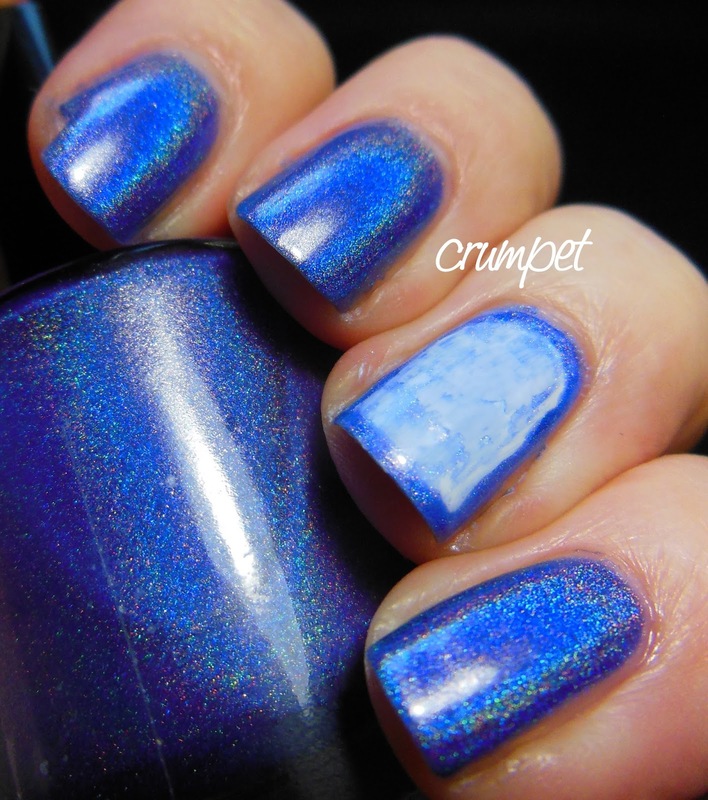 That said, Dreams wasn't my favourite polish from The White Witch Collection, but I think that's purely because this is SUCH a common shade for a blue holo. 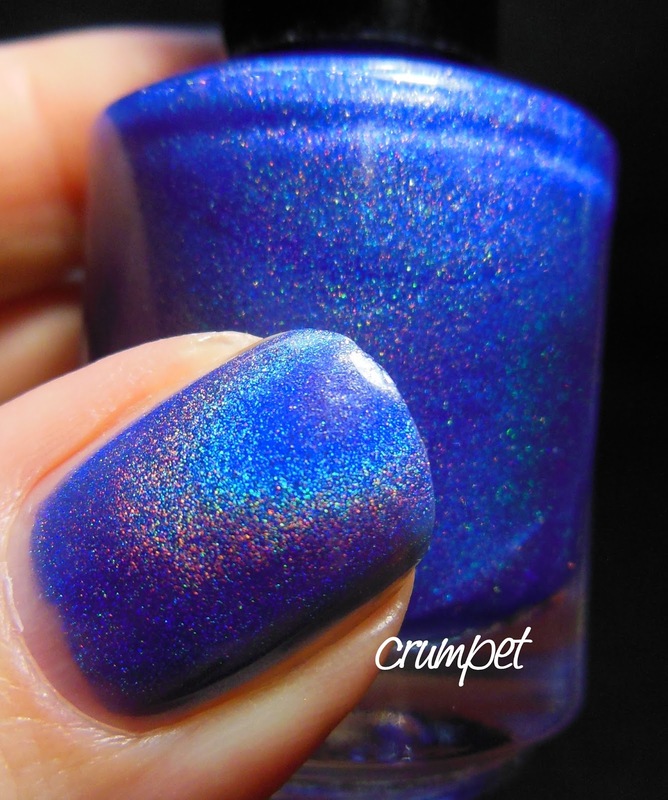 I must own or have swatched at least 10 polishes very similar to this. 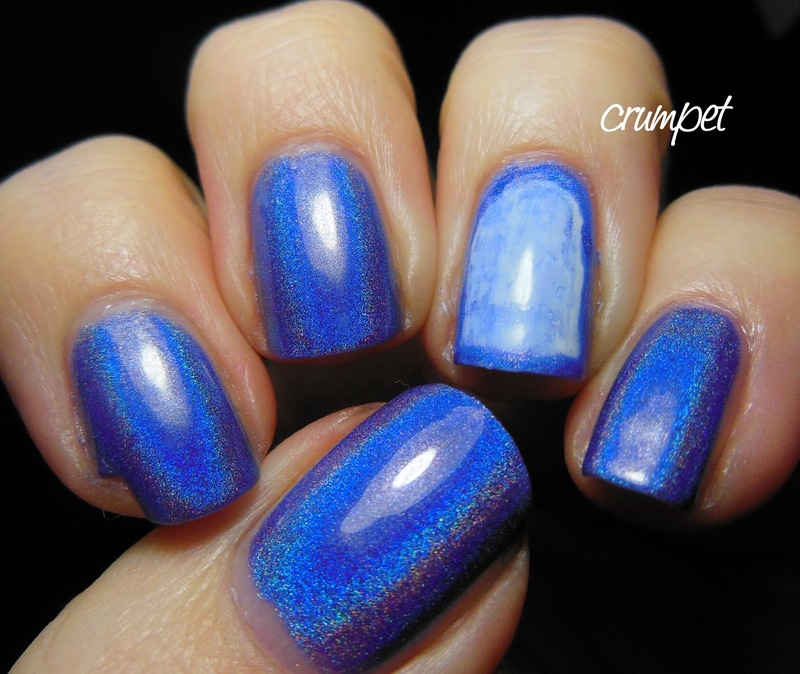 I say this not to be a party pooper, because this IS a lovely polish, but to advise caution if you've already bought shades similar to this in the past. The ring finger? Yeh, I'm really not sure lol. 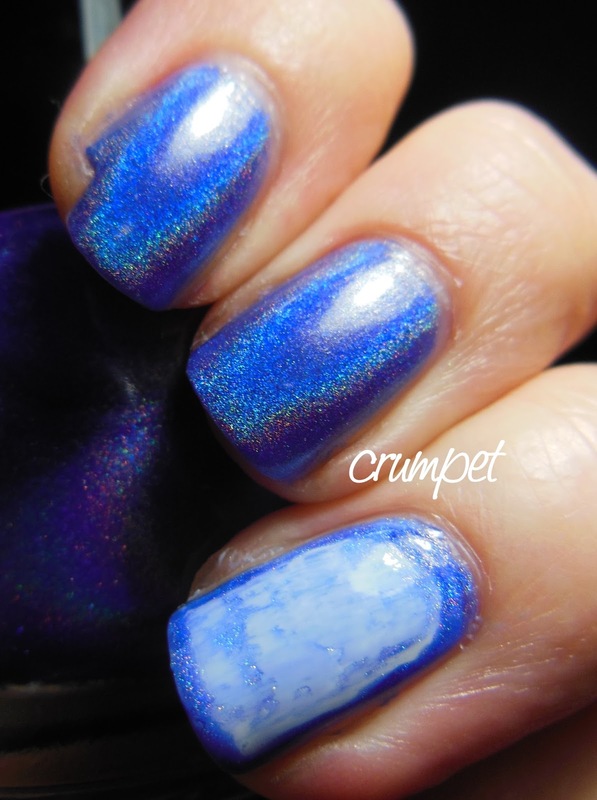 I started to distress it, so that I could then show how just 1 flimsy coat could leave a lot of magic on the nail, but it went a bit wrong. So then I edged it and ... yeh .... moving on haha. 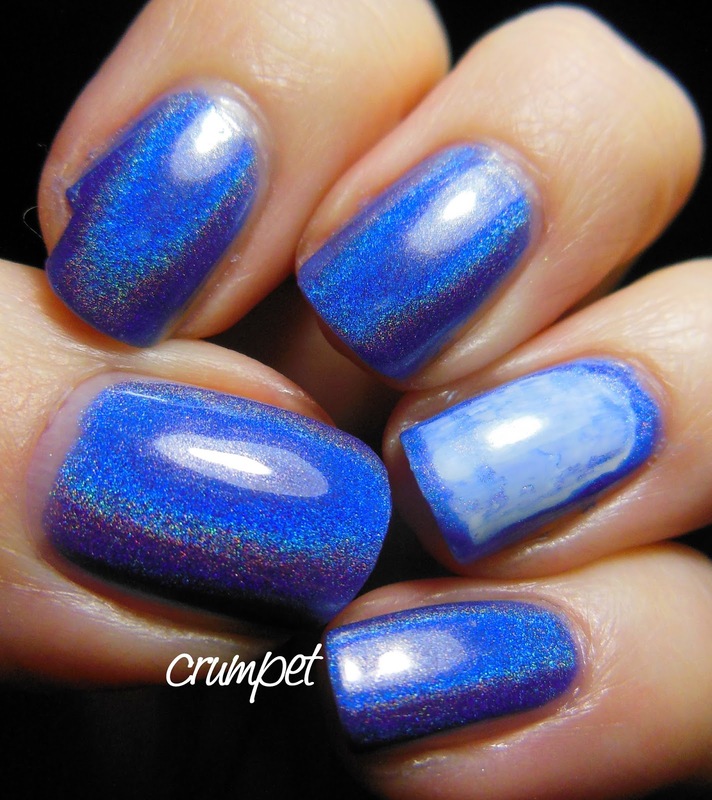 Carrie's awesome polishes are all available from her shop HERE. 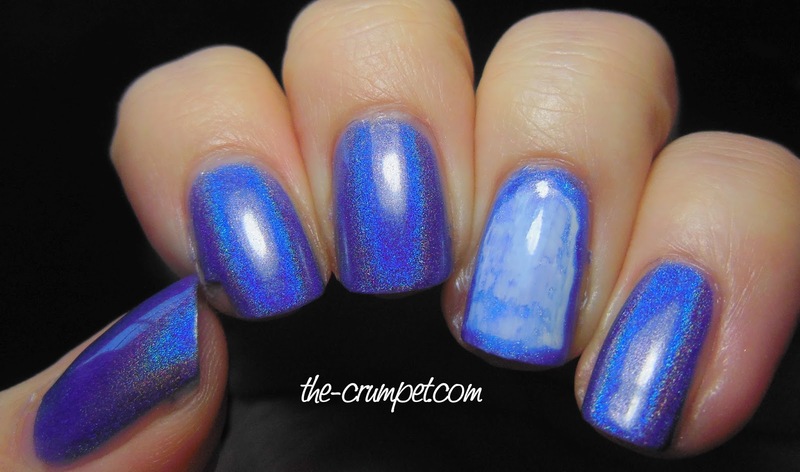 This polish was sent to me for an honest review.